Wargaming on Tour: the MGT-20 Rolls Out! Now that gamescom 2014 has come to an end it’s time for us to once again hit the road in our tricked-out MGT-20 gaming truck. European tour, anyone? Check out the list of dates and venues in the table below to see where you can rendezvous with our Community Team, get hold of some amazing goodies and play some games. We have also included links to our Flickr accounts for past events. Scout the photos and see if you are in their number! 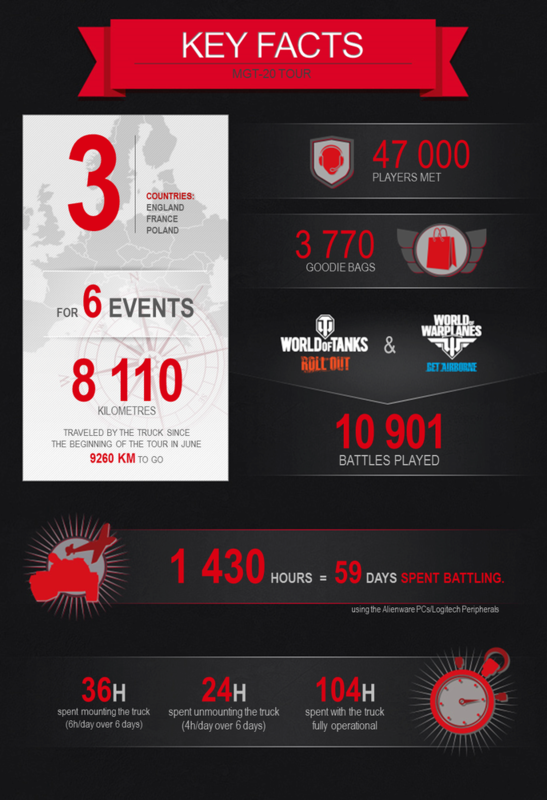 As an extra special treat we have also prepared the following infographic with some cool stats about the truck and its tour. Have you been lucky enough to be part of the journey so far?